You might think that foundations allocate a considerable amount of their capital towards mission-related investing. You wouldn’t be rash for thinking this, but you would still be wrong. In this article, we'll take a look at why foundations don't do more mission-driven investing, why they should, and most importantly, how they can go about starting that journey (hint: it has to do with impact investing!). By the end, you'll probably be asking your colleagues why your foundation hasn't incorporated such a strategy yet. But let's not get ahead of ourselves -- let's look at some definitions and context first. A mission-related investment (MRI) in this case refers to capital deployment which is intended to further an organization’s mission, and which also expects some sort of financial return. Of the more than 86,000 foundations in the United States, less than 15% are likely to be engaged in some kind of mission-related investing according to a representative sample from a survey by the Foundation Center. That means that more than 8 out of 10 foundations do no kind of mission-related investing whatsoever! The impact investors reading this are likely cringing at these data and also rushing to see who they can get on the phone. This is a huge opportunity for both sectors to take a seat at the table and help one another deliver the impact that both would like to see in the world. U.S. Foundations are sitting on over $800 billion dollars in assets with the majority of those foundations, of course, focusing on charitable giving programs. That’s been the expertise (i.e. method of execution) of this sector for generations. And as with any entrenched mindset it can be difficult for a new way to take hold for a number of reasons. The Center for Effective Philanthropy (CEP) explored these reasons in a 2015 survey of private foundation CEOs. There remains a pervasive belief that impact for foundations can be better achieved through the giving programs as opposed to impact investments. In other words, the foundations prefer to invest solely for financial returns in order to use a portion of those returns for grant-making/giving programs. Perhaps this is true (that impact can be better achieved this way) for some foundations’ unique contexts. Or perhaps mission-related investments simply haven’t been carried out well to achieve the desired results. Which brings us to reason number two. That same CEP survey found that the hesitance to dive into impact investing is also because of a perceived lack of expertise or competency. 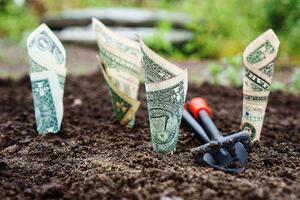 How does one invest in a for-profit company to optimize impacts? And returns? It is a steep learning curve and the majority of foundations still prefer the “simpler” equation: 1) Invest for returns, 2) use returns for grants. That learning curve is shortening, however, as impact investing grows in popularity and with it, the amount of resources available to begin that journey. The point here isn’t that impact has or hasn’t been generated in the traditional foundation model (that’s a topic for another time). 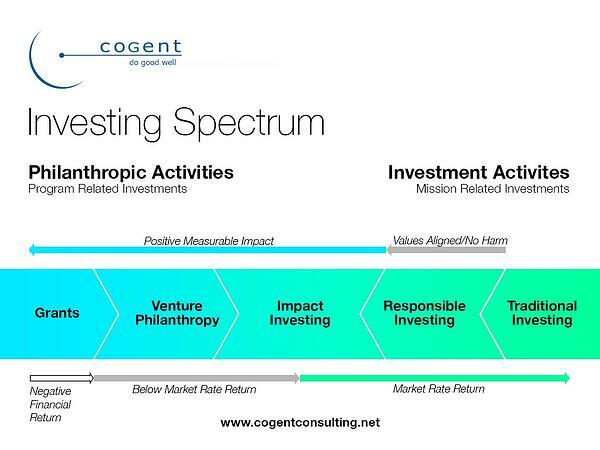 What’s interesting is that foundations continue to operate from this giving model even though there is mounting evidence that impact investing could serve both the mission and financial interests of the foundations’ stakeholders. It’s that evidence which may begin to break into and change the mindsets discussed above. A report by the Global Impact Investing Network found that while not all impact investors seek market rate returns, those that do can certainly achieve them. Many take a portfolio approach, building across asset classes to create an impact strategy. Institutes like the GIIN, Toniic, MaRS, or the Mission Investors Exchange support the evolution of impact investing by strengthening the ecosystem and making it more feasible for new players to enter into the sector. A seasoned impact investor or advisor can help foundations understand both the social/environmental and financial returns that are possible in any given impact investment scenario and help them build the impact strategy that is most appropriate for their specific context. With that, the learning curve continues to shorten. What’s more, with Millennials taking more and more responsibility, for example, in family foundations, the trend towards mission-related investing seems to be gaining inertia. The time is now to diversify a foundation’s asset strategy! You know there is change happening when large amounts of capital are mobilized. That shift towards impact investing in the realm of foundations became more visible just last year when the Ford Foundation announced it would be allocating $1 billion to MRIs. 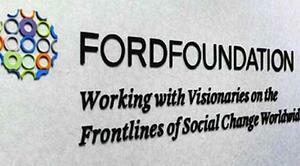 With a well known player like the Ford Foundation leading the way, such changes in foundation strategy are likely to be more and more common. With that change of heart and joining of sectors comes an opportunity for impact investors to also learn from the expertise on the foundation side, understanding deeper nuances of impact and change-making that perhaps don’t emerge in the usual flow of impact portfolio design and evaluation. For many foundations, learning how to align investments with mission and receive market rate returns will be essential. That former criteria will demand certain screening (e.g. ESG screening) procedures to begin to take place as well as deeper impact data management and measurement of outcomes to understand that social accounting also need to be measured and evaluated (and that it is possible to do so). These are all positive externalities of such a relationship, which will likely offset the learning curve interval for both parties entering into a new kind of investment dynamic. At Sopact, we’re happy to be at the nexus of this emerging opportunity, providing the data management tools necessary for such relationships to be successful (data transparency, outcomes identification, analysis processes, reporting, etc.). With the amount of assets in the foundation sector, mission-related investments represent a still largely untapped opportunity to effect powerful change. But that shift is already taking place. Will you be a part of it?